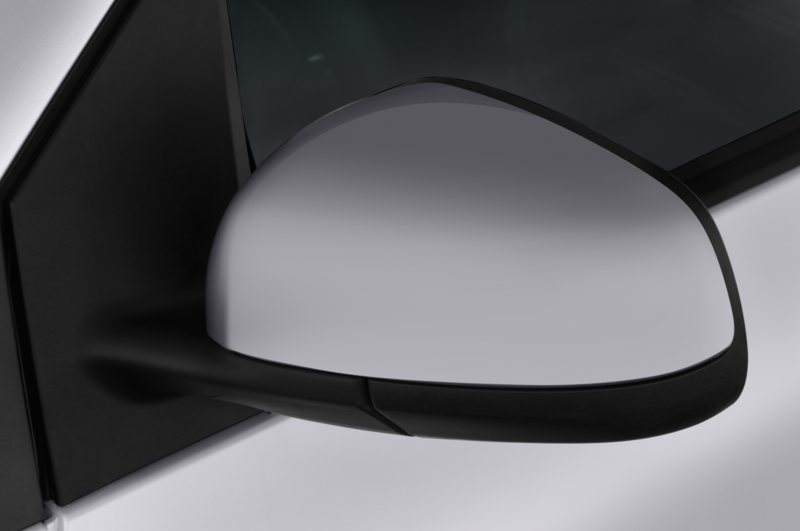 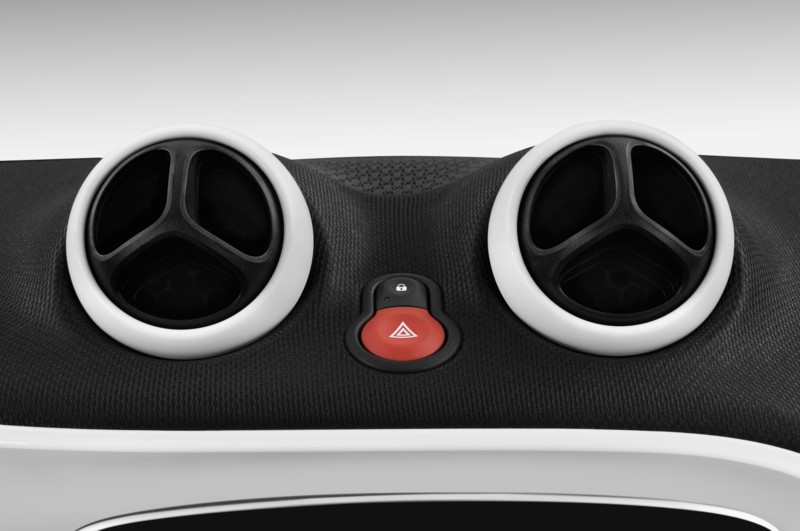 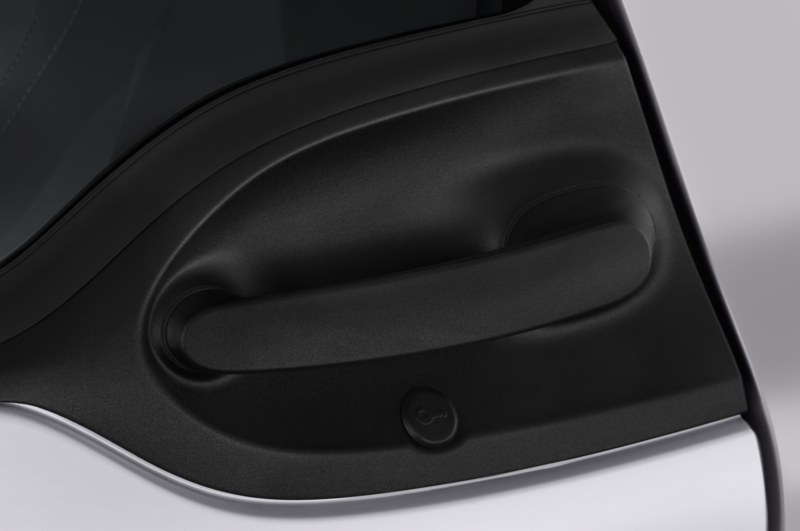 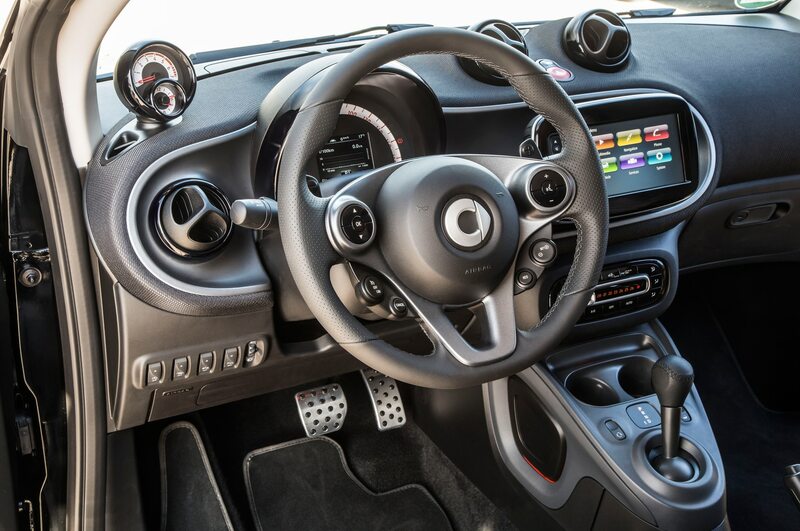 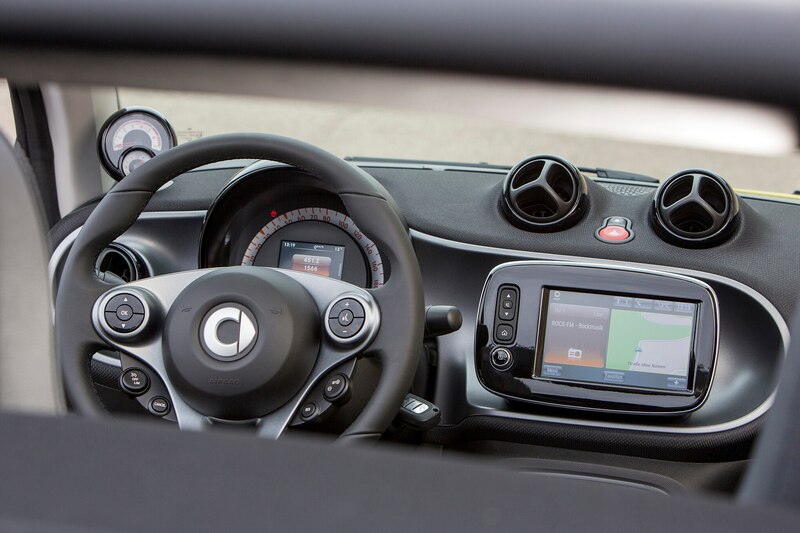 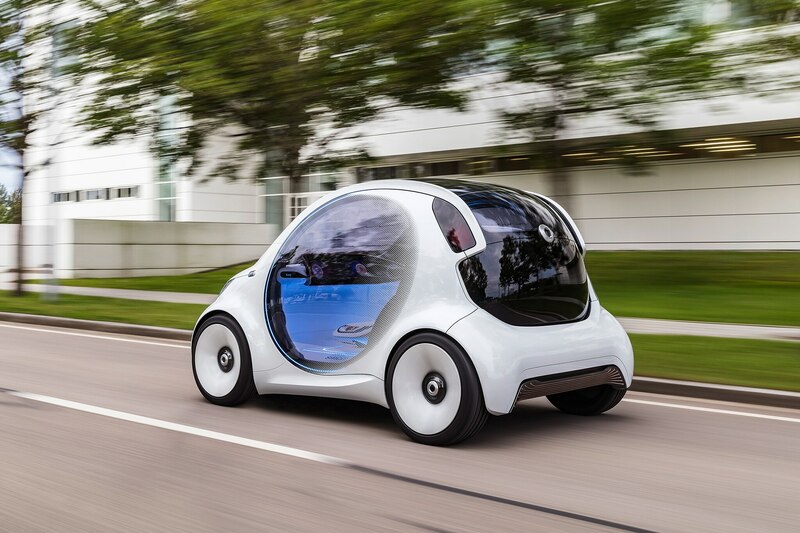 Earlier this week, we got a glimpse at Smart’s upcoming electric ForTwo concept via Instagram. 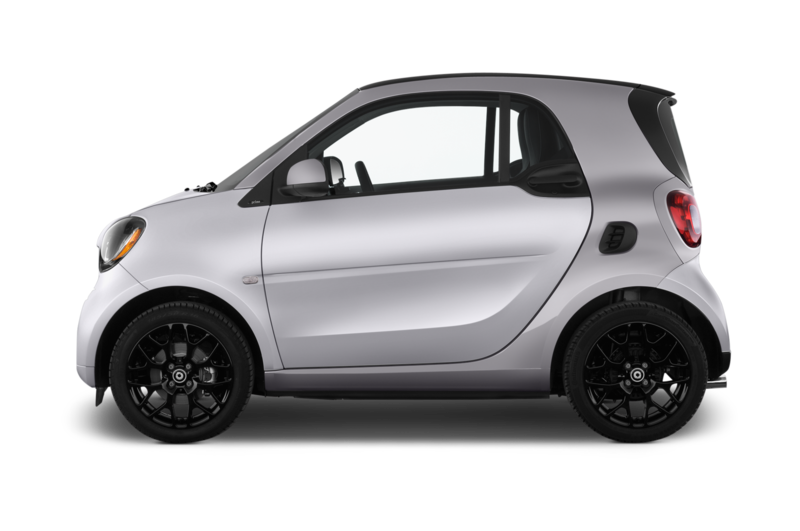 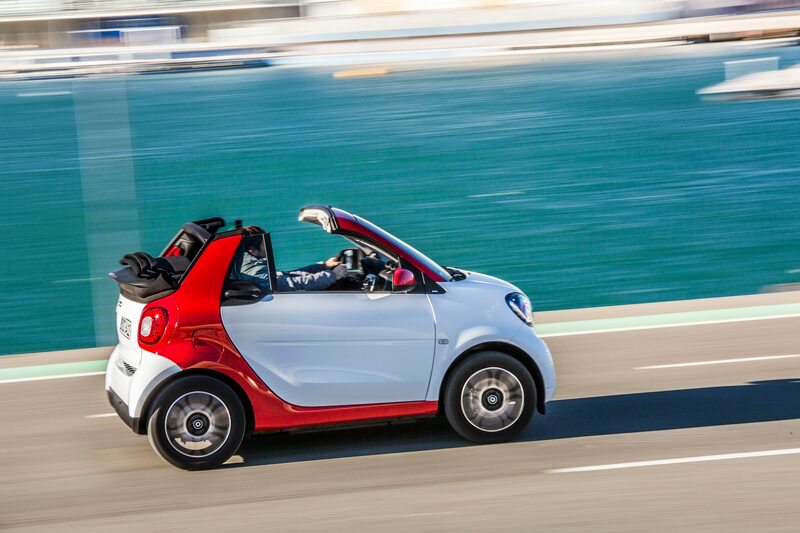 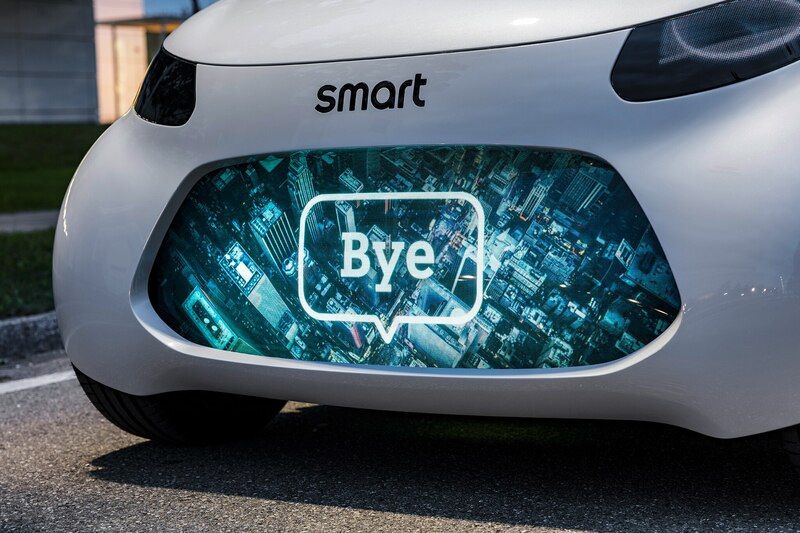 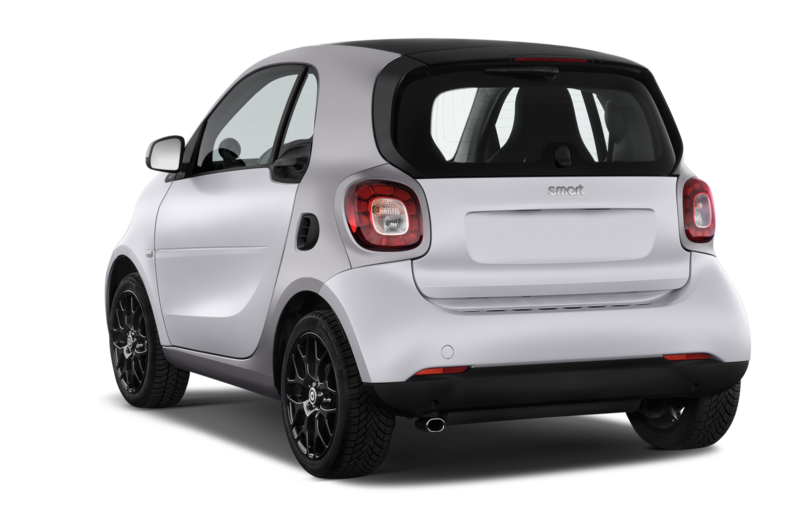 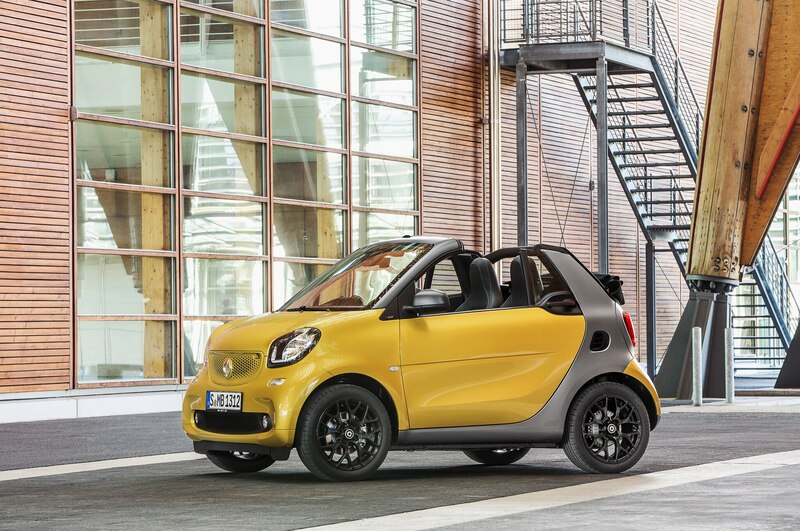 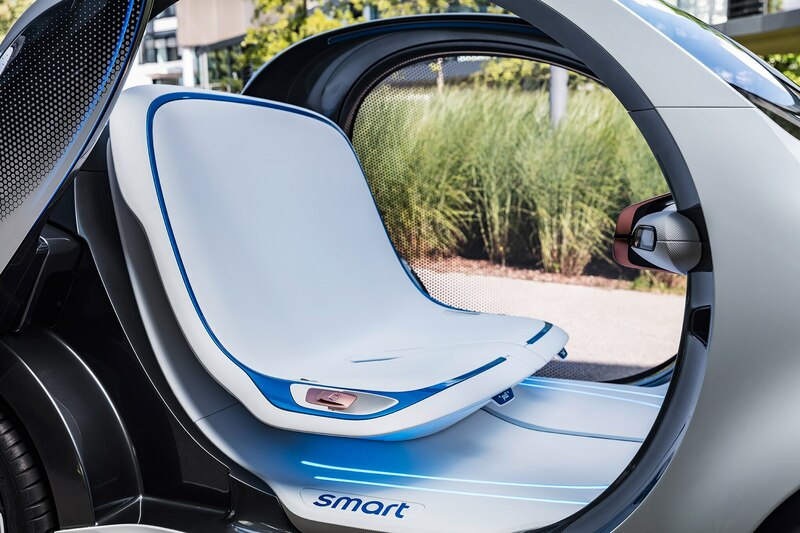 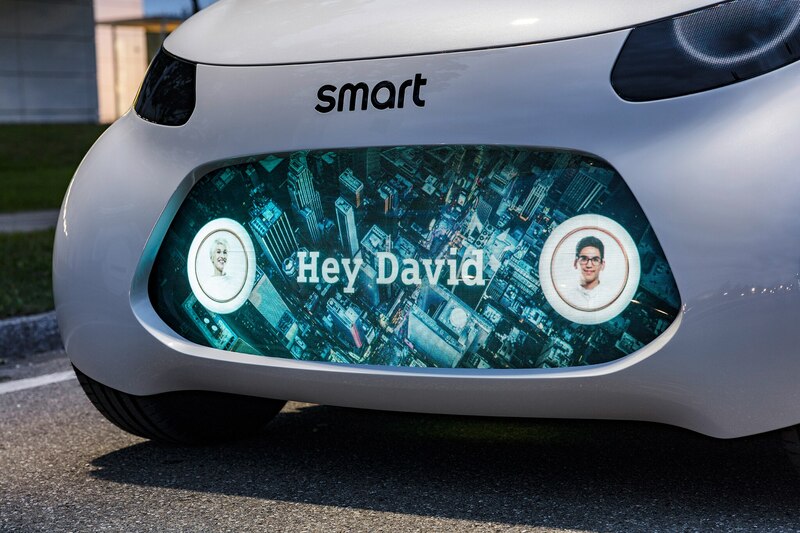 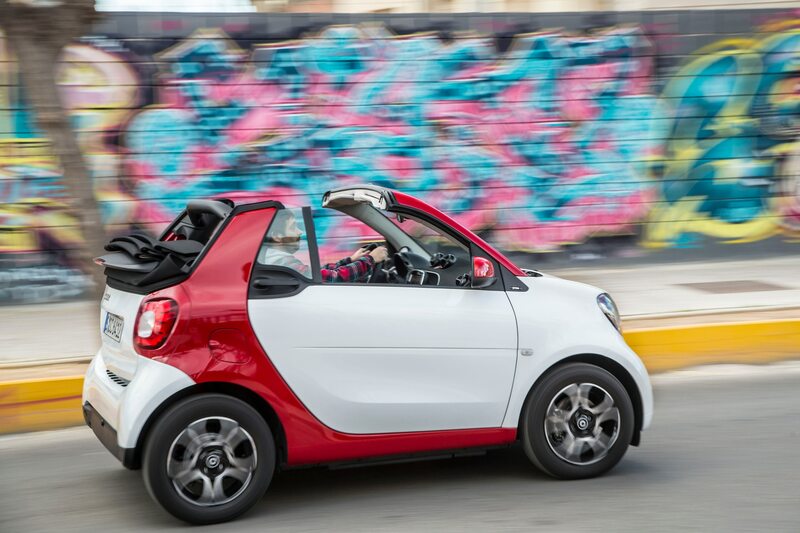 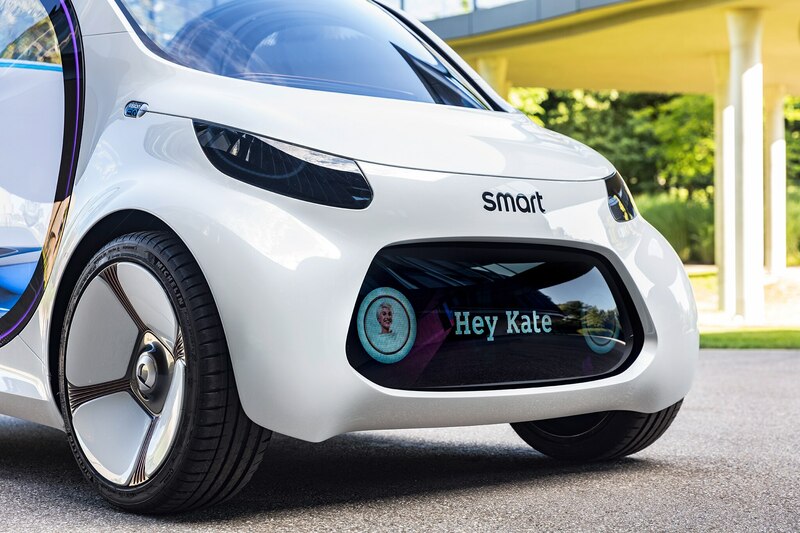 Today, Smart revealed the whole car, and if you’re looking forward to a future where tiny electric pod-cars act as autonomous taxis, it’s about perfect. 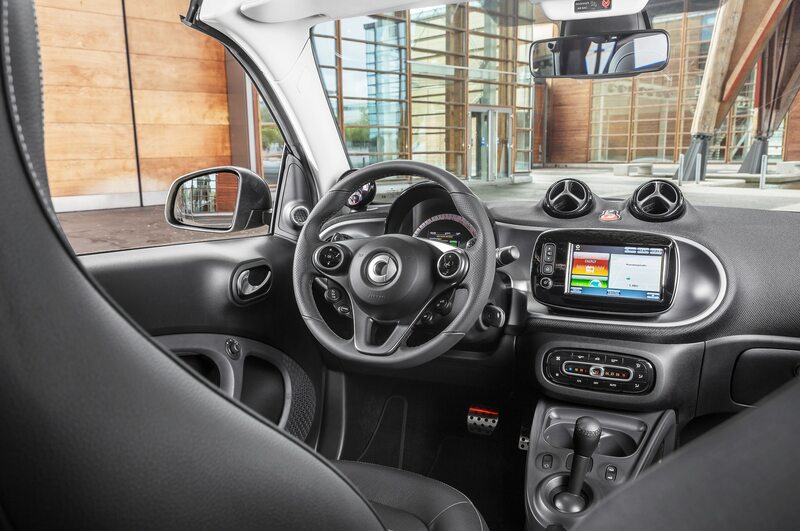 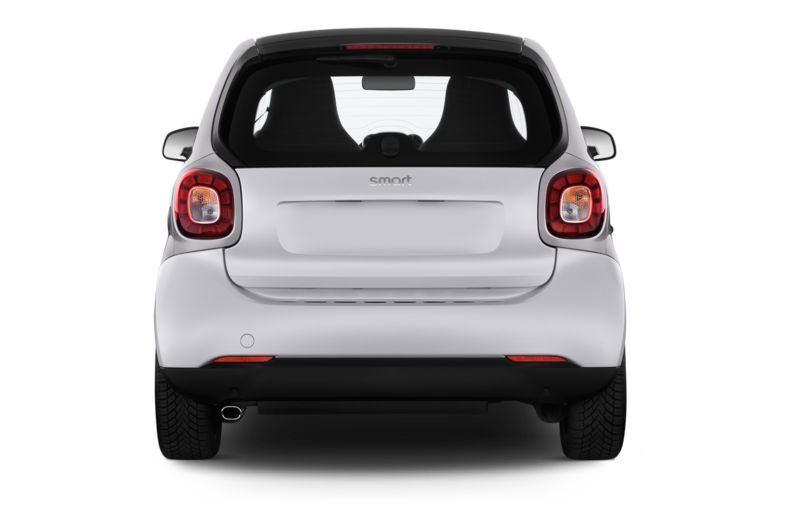 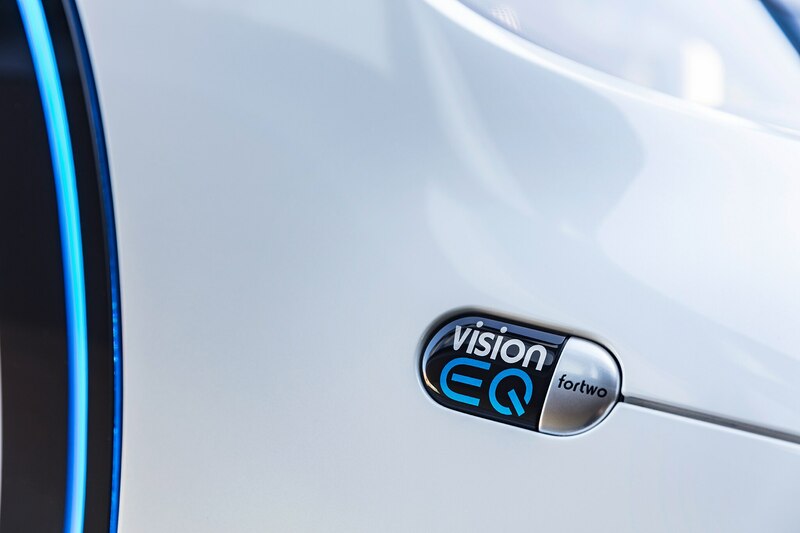 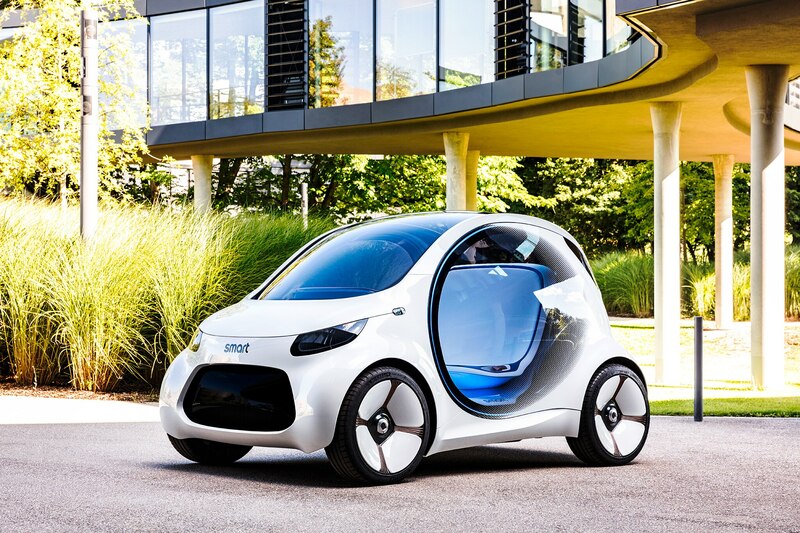 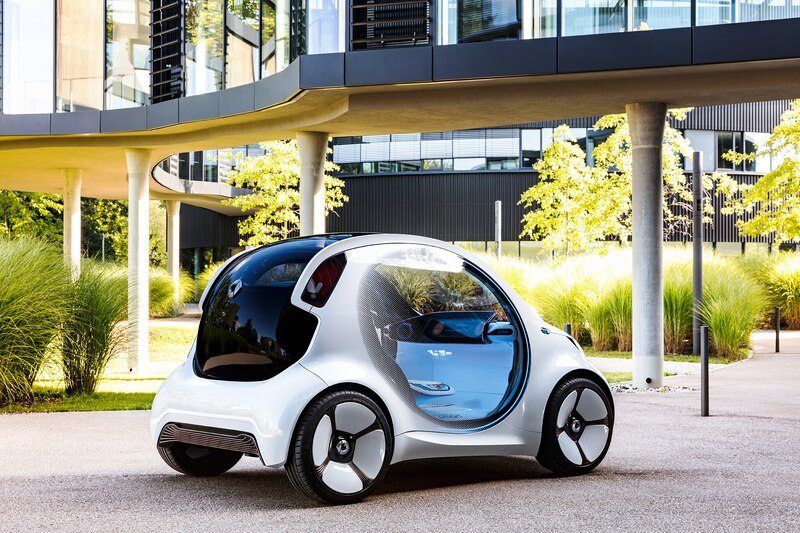 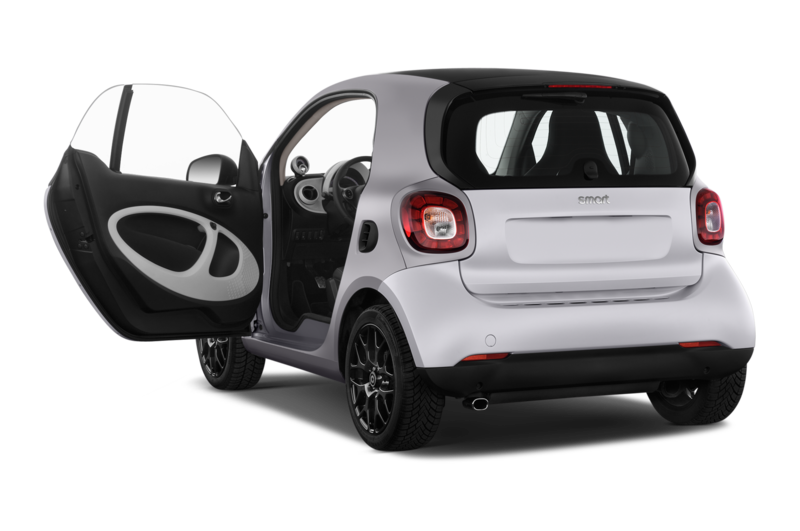 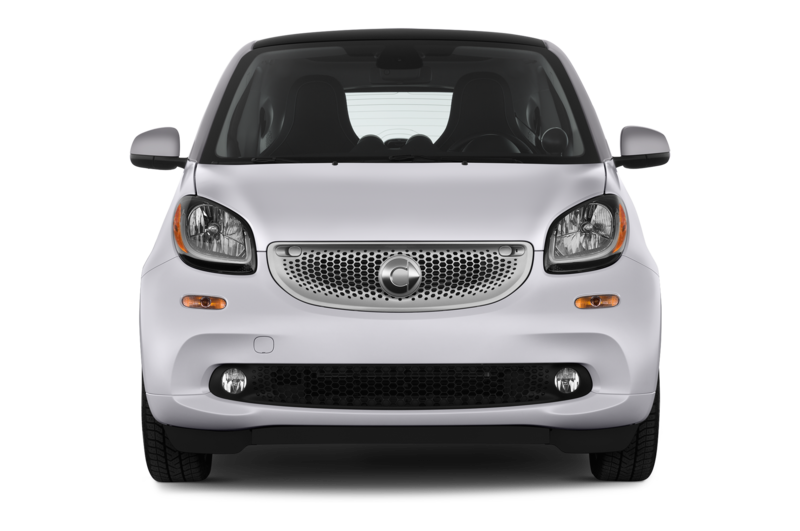 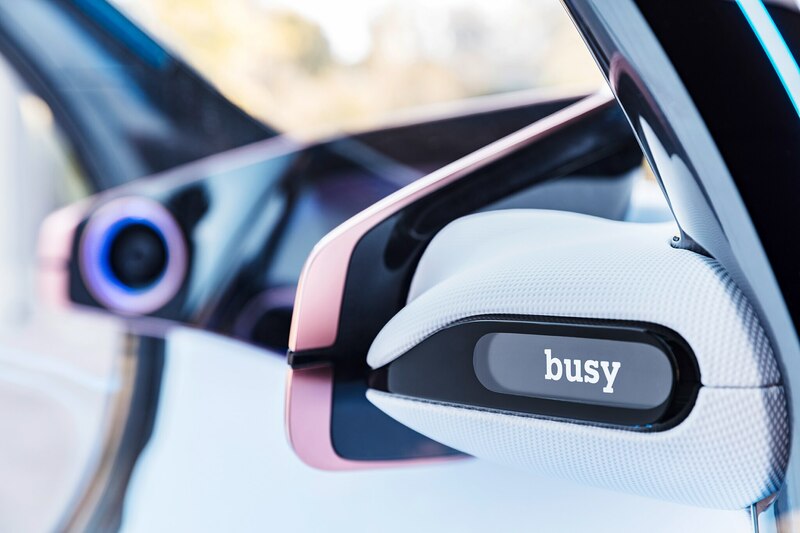 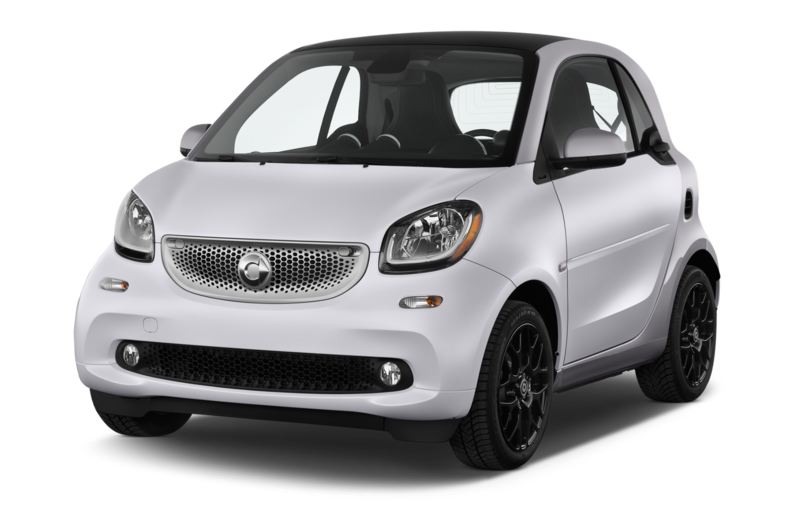 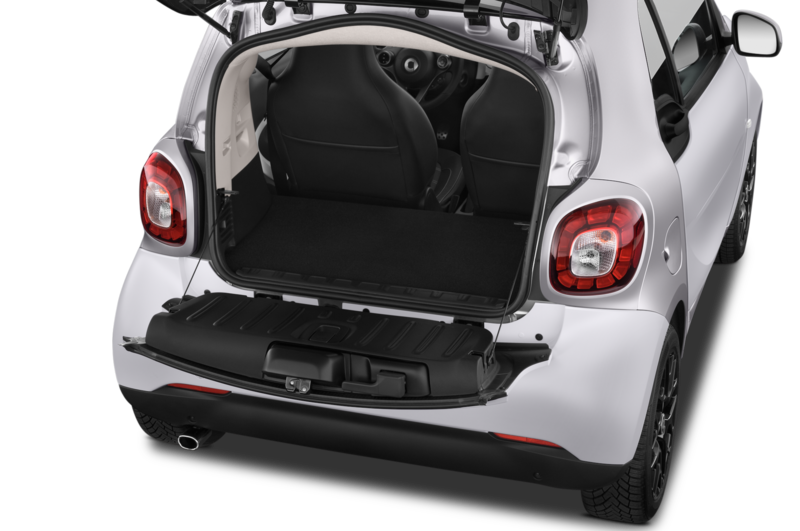 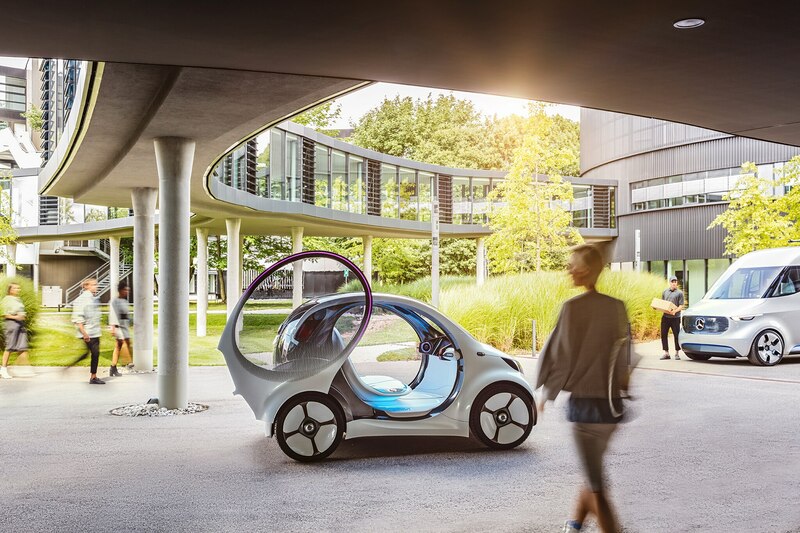 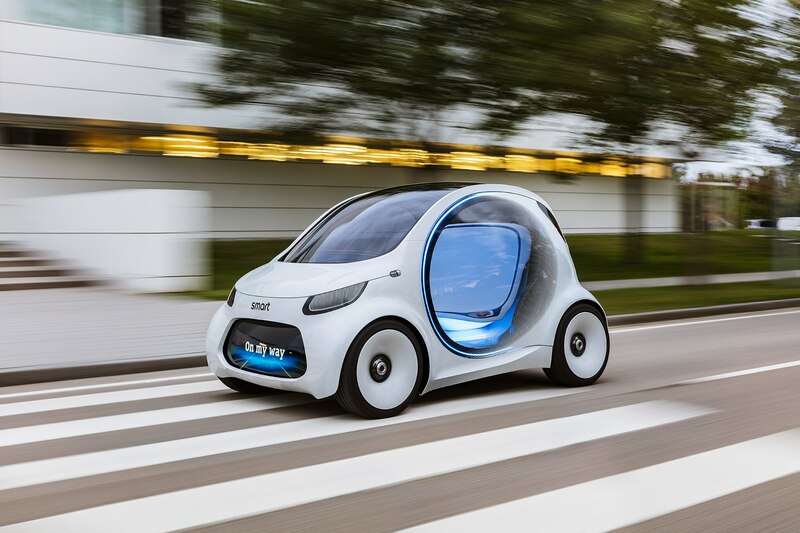 Designed for the EQ sub-brand, the Vision EQ ForTwo is still recognizable as a Smart car, but it’s been given a futuristic refresh that rounds out the shape and adds two clear doors that pivot over the rear axle. 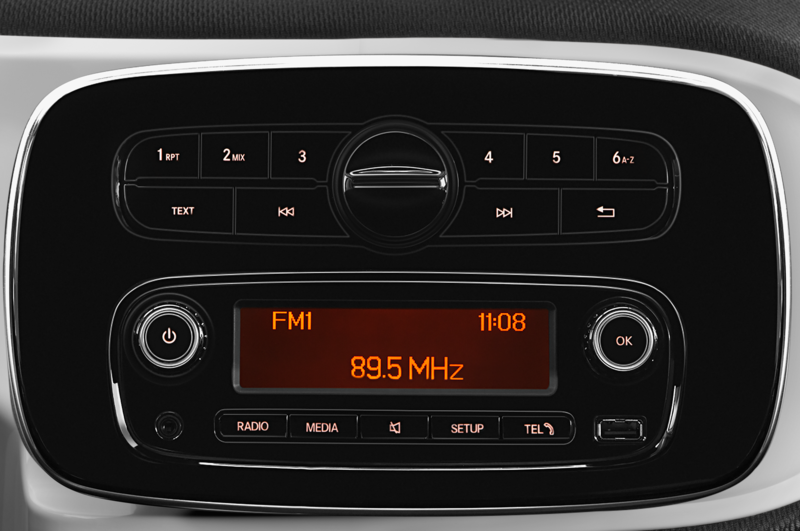 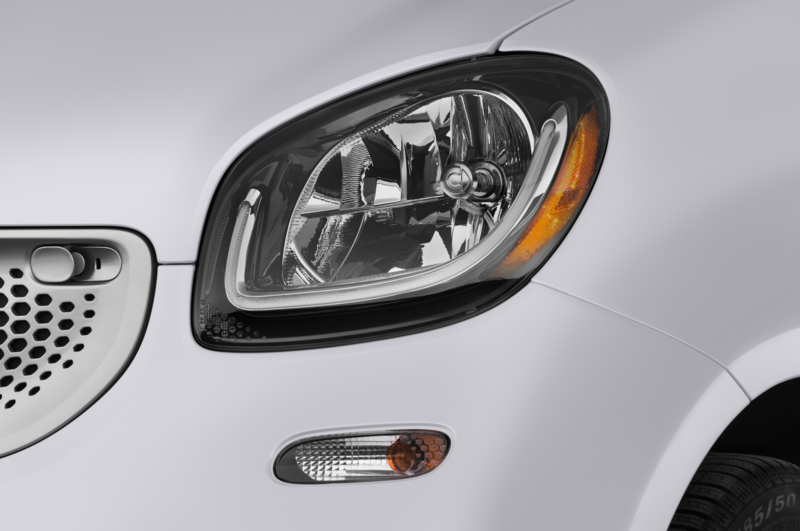 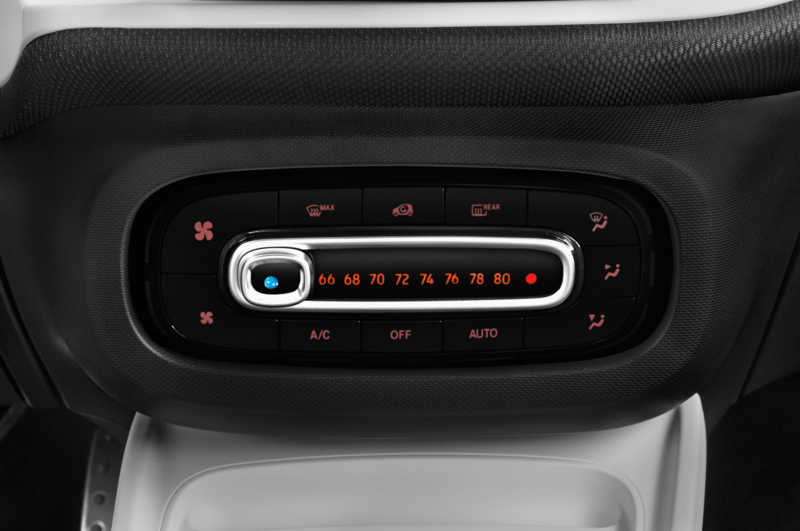 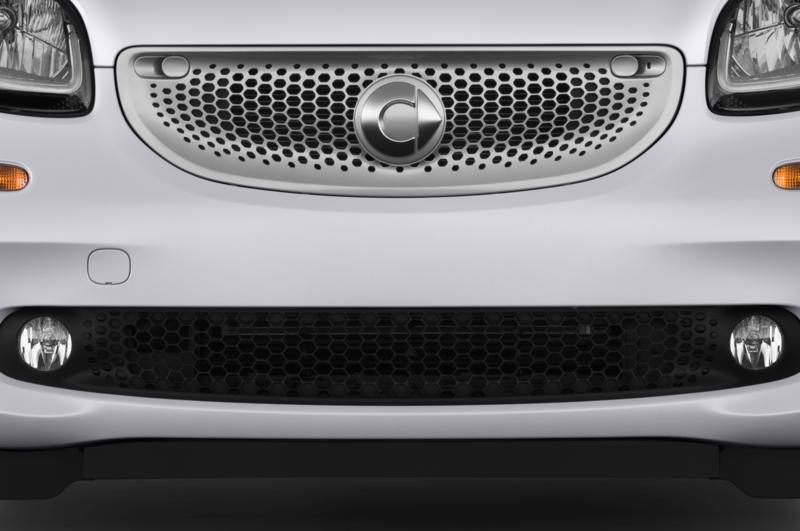 The headlights and taillights have been replaced with LEDs, and the grille is now a screen that can be used to communicate with others. 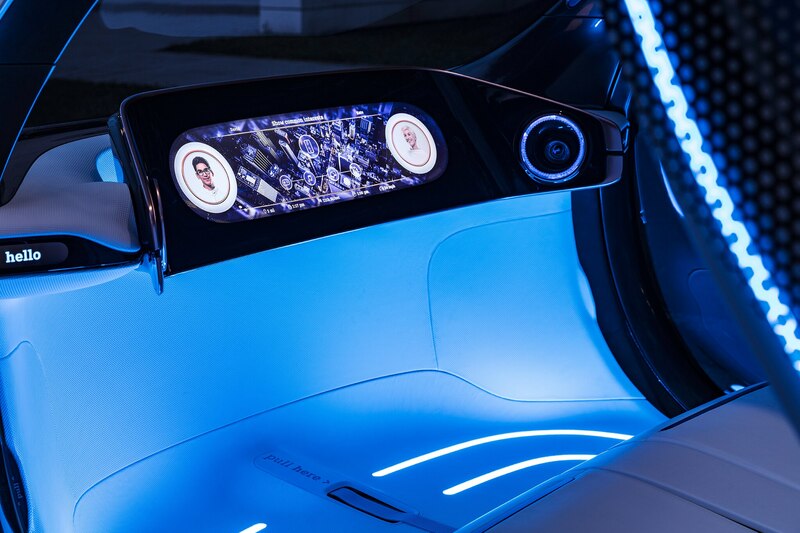 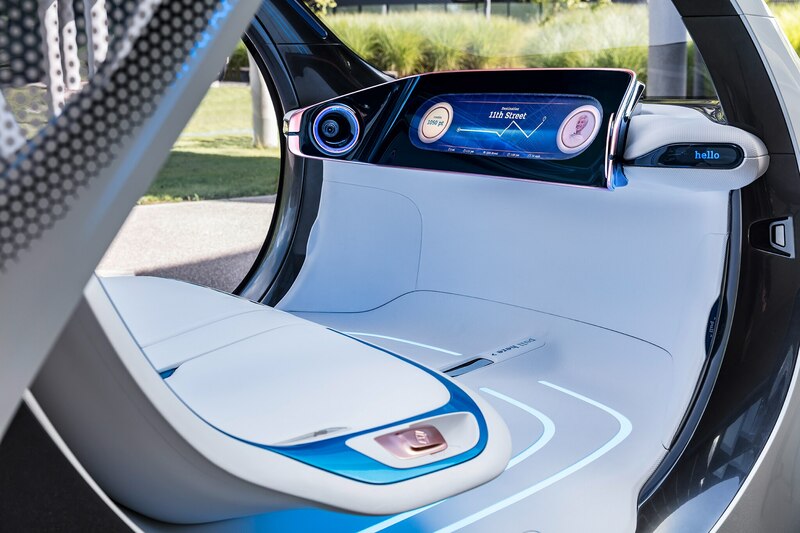 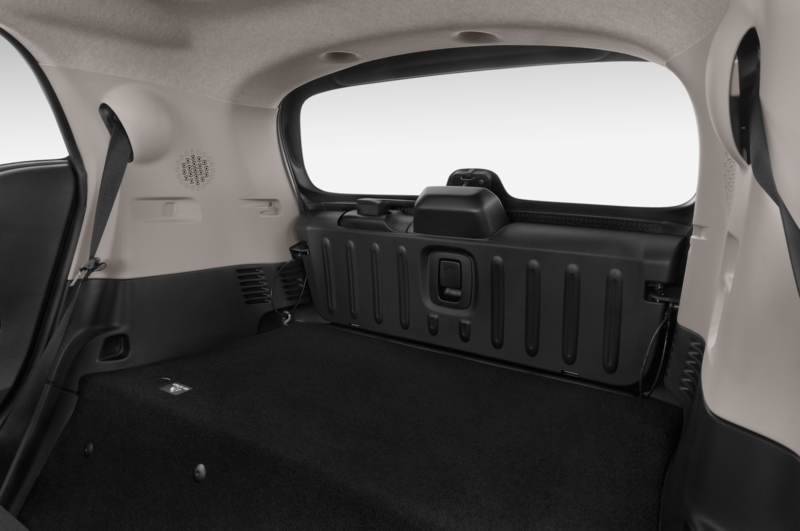 Inside, there’s a typical space-age white interior with an abundance of screens and a bench seat with room for two passengers. 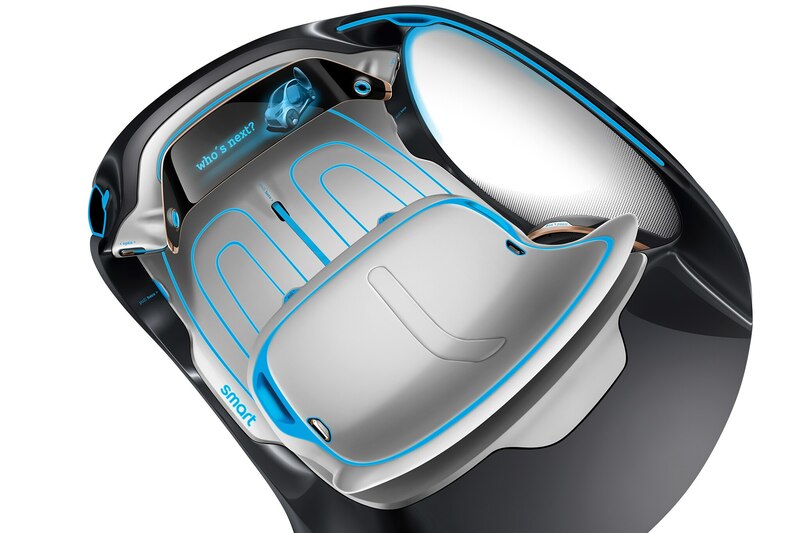 But if the passengers aren’t interested in snuggling for the whole ride, there’s also a center armrest that can be lowered. 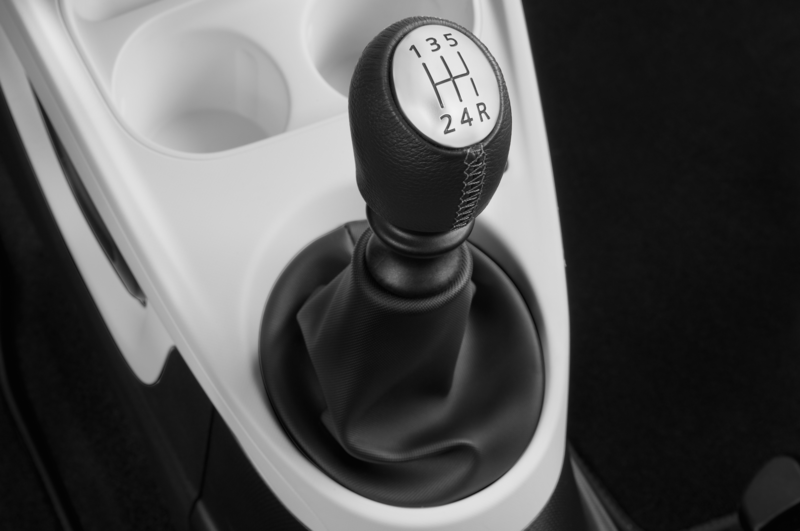 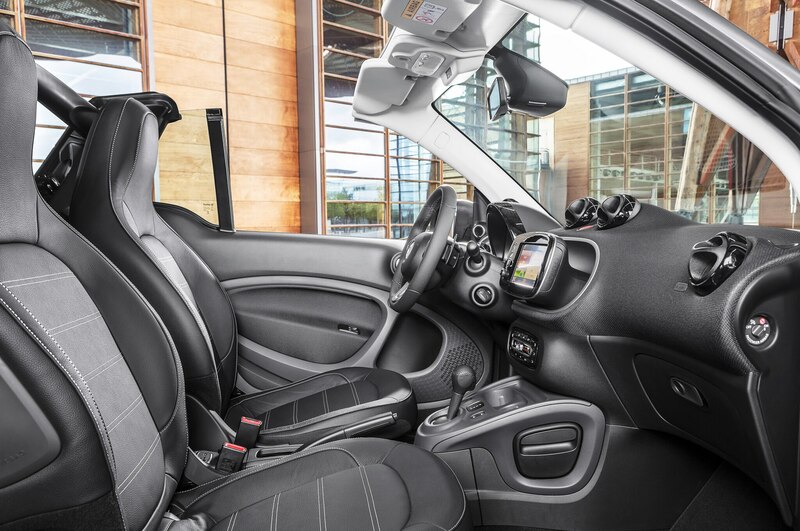 You don’t have to worry about the white upholstery getting dirty, either. 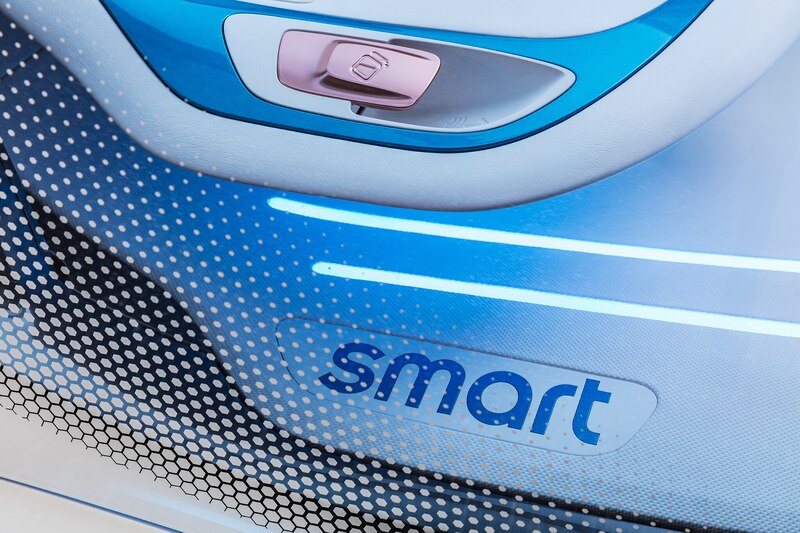 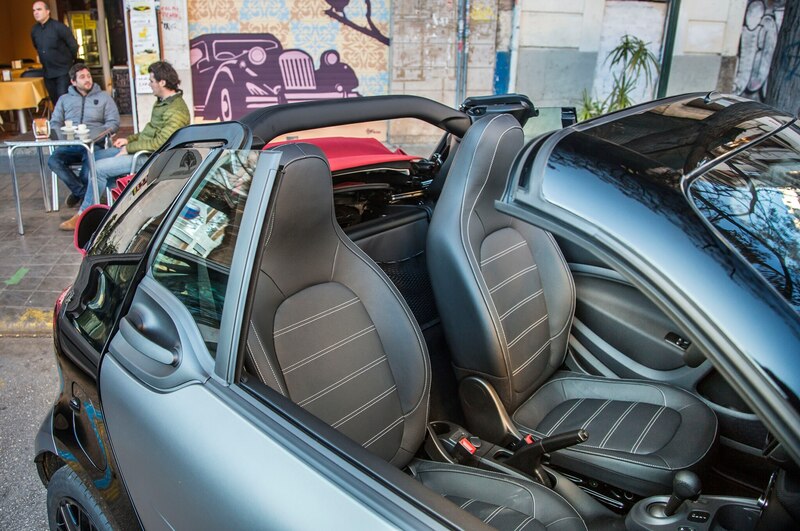 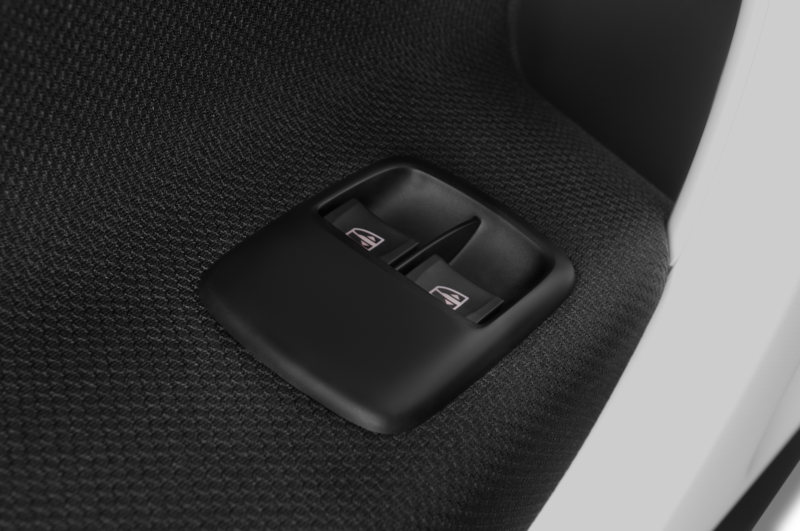 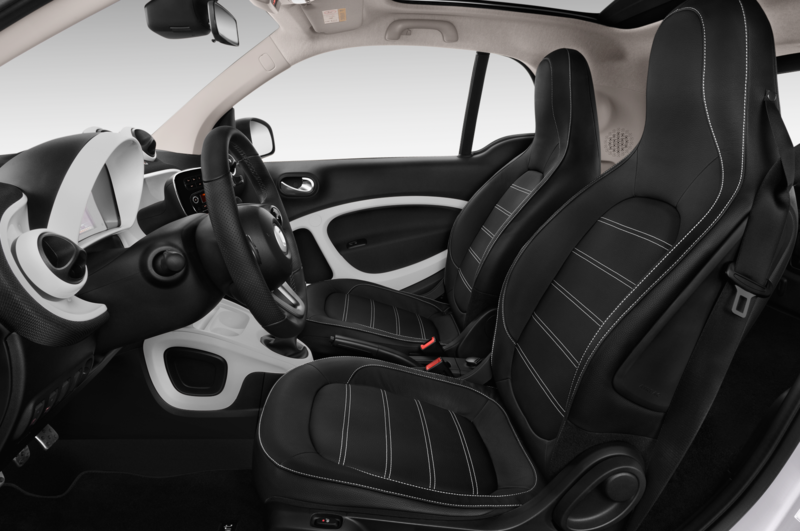 Smart promises the artificial leather is easy to clean. 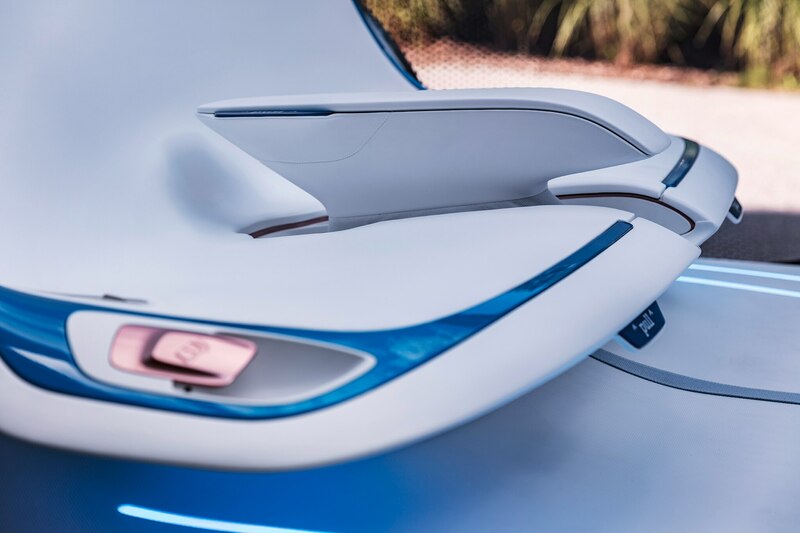 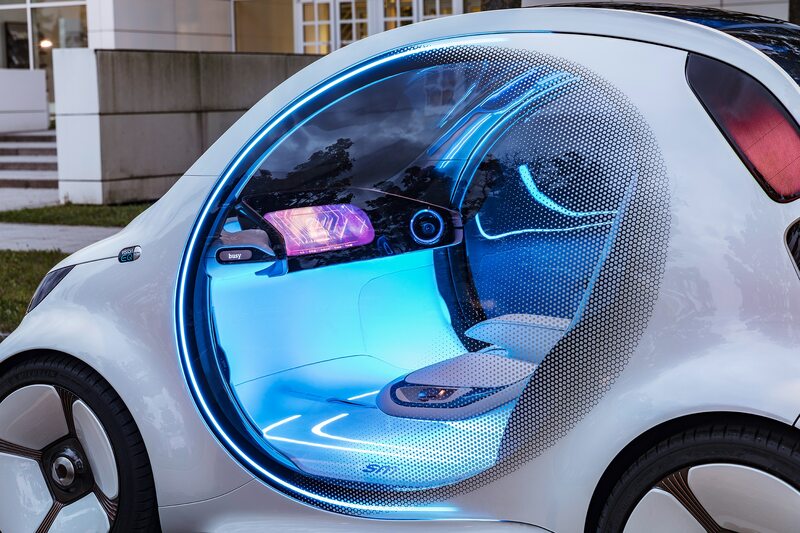 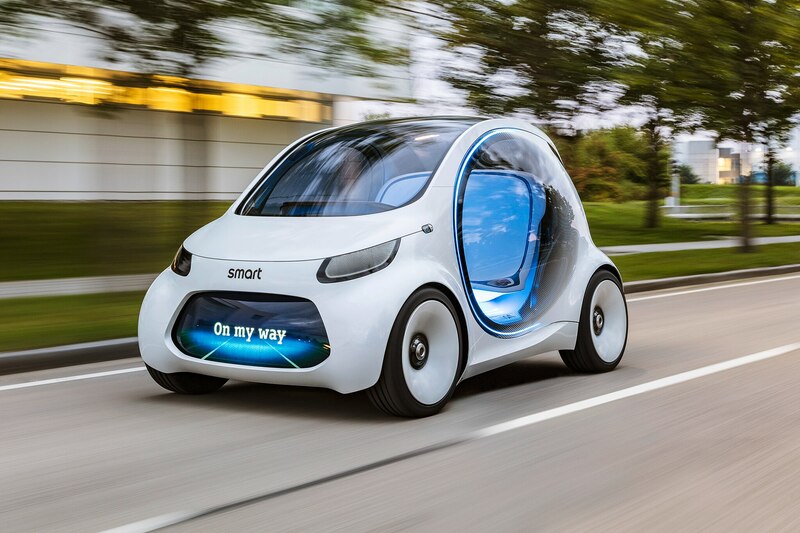 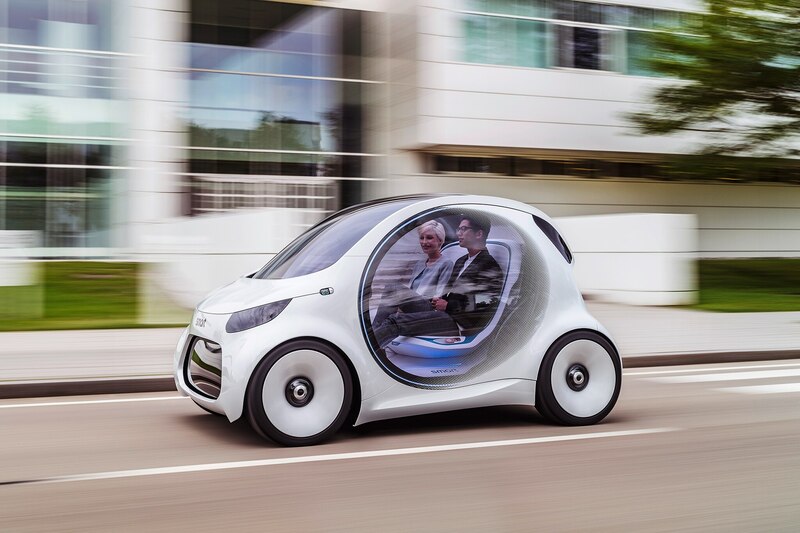 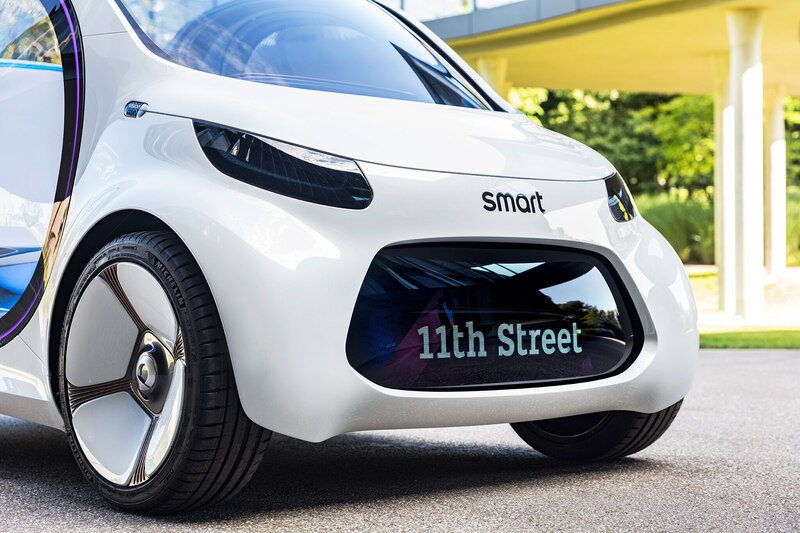 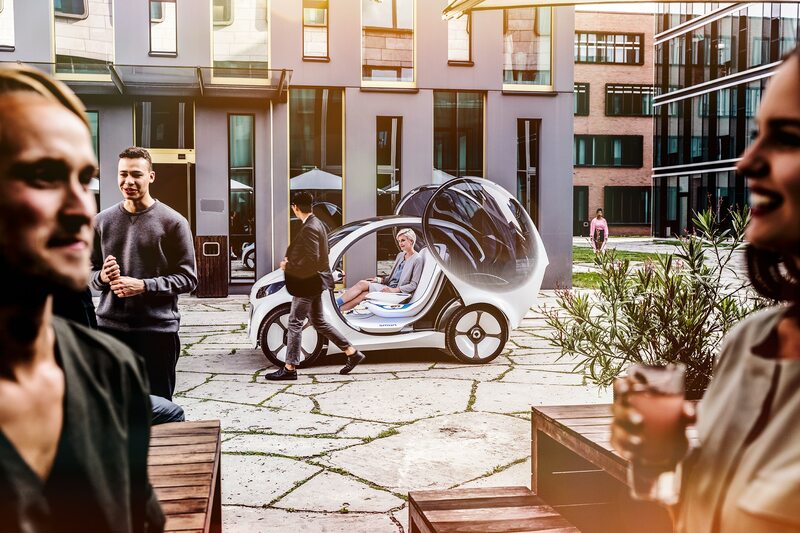 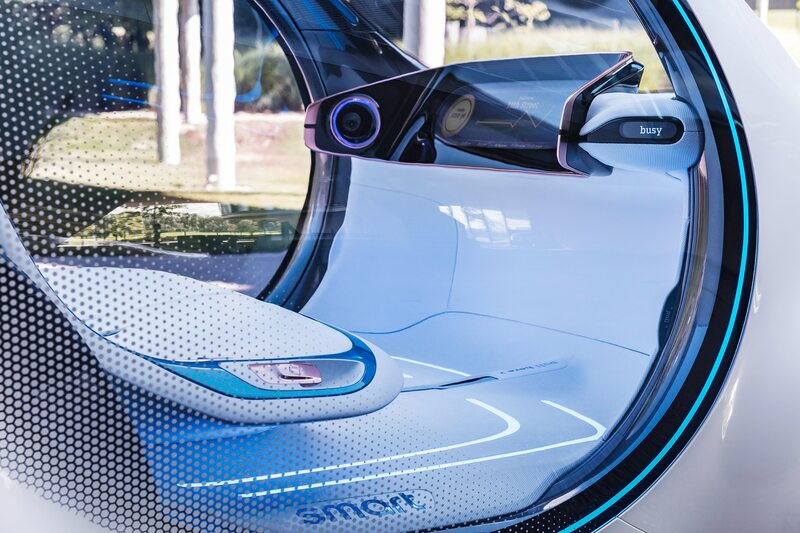 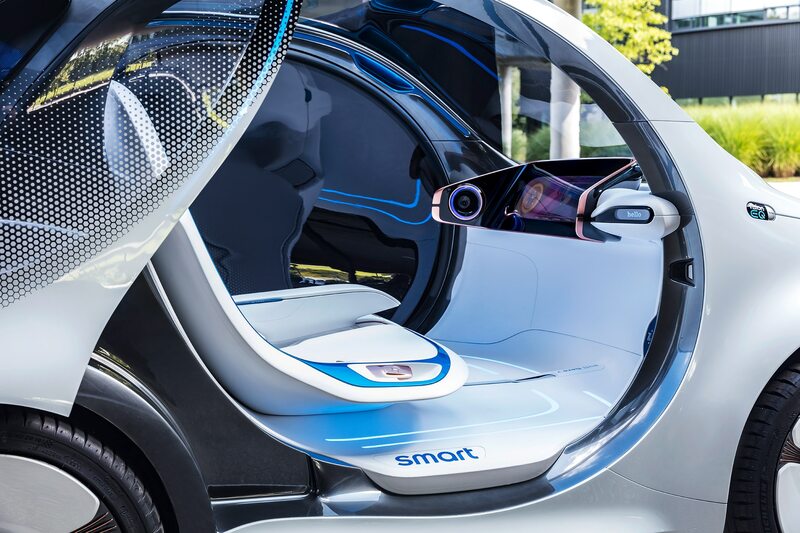 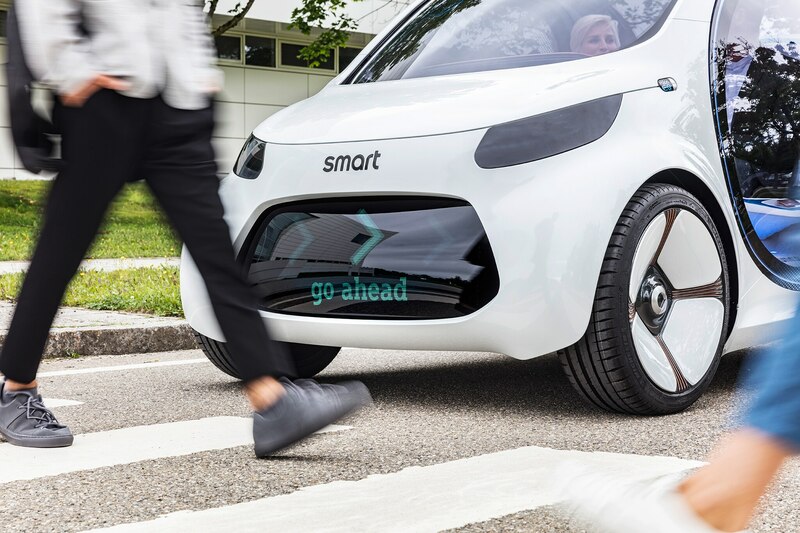 Smart envisions a future where swarms of these cars roam the city, autonomously driving passengers wherever they need to go. 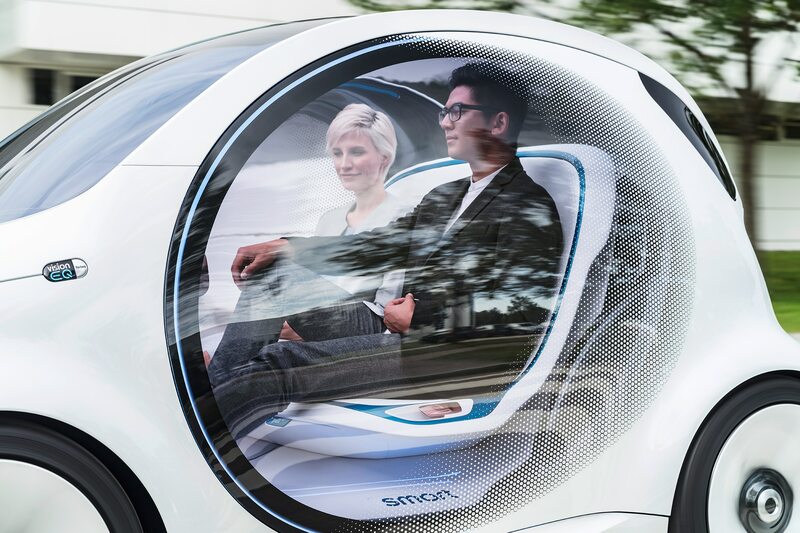 Like Uber without human drivers. 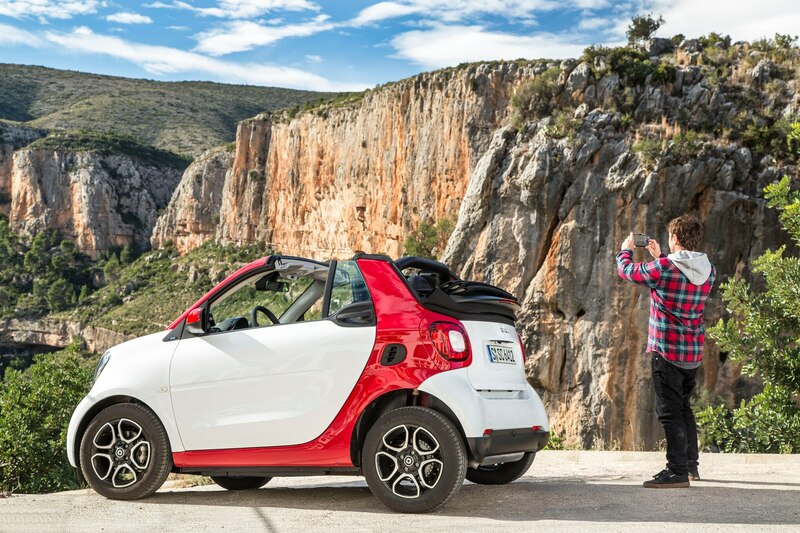 When you need to go somewhere, simply pull out your clear smartphone, open the app, and order a ride. 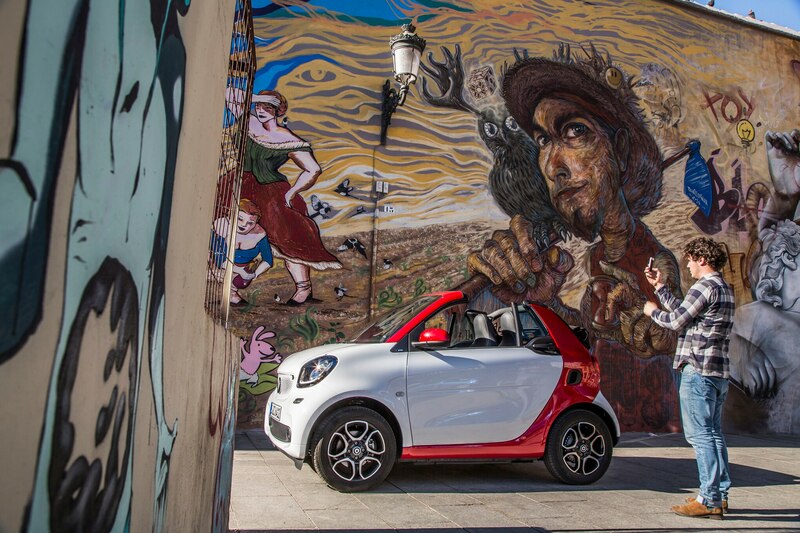 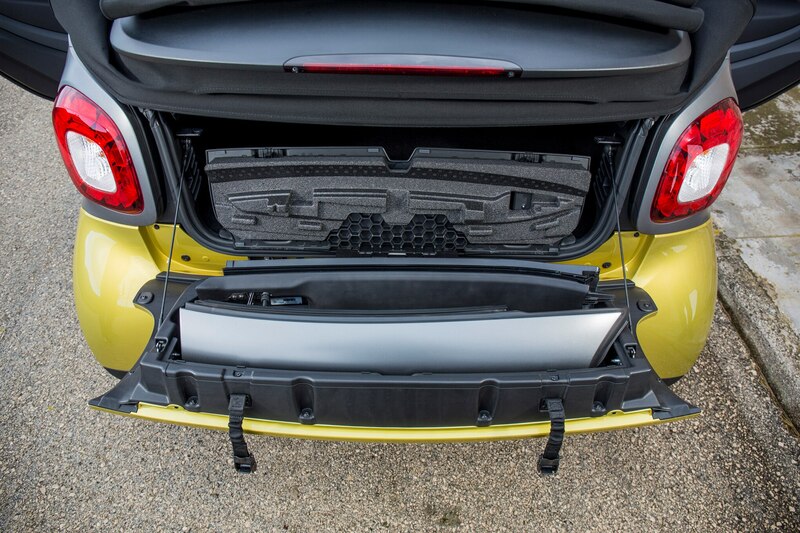 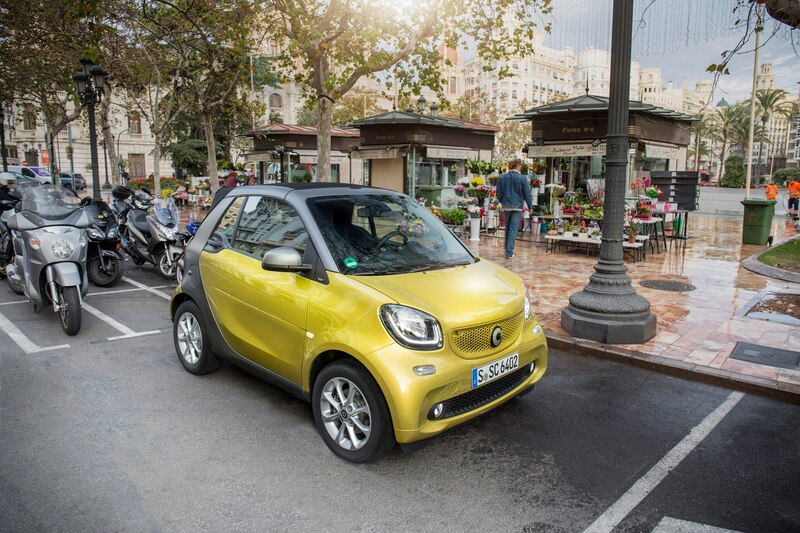 According to Smart, you won’t need to find your car, either. 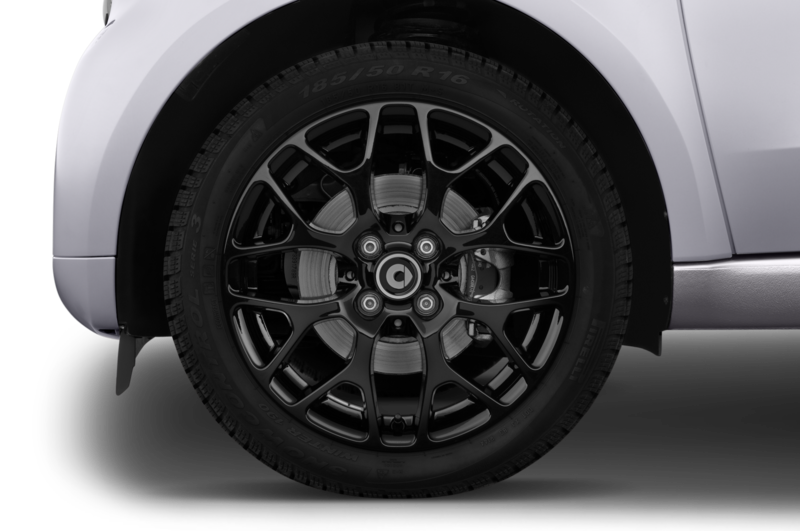 It will find you. 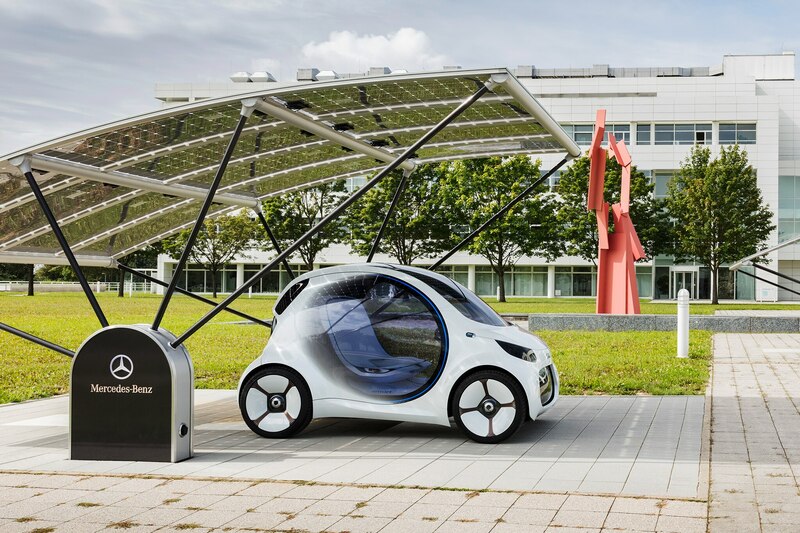 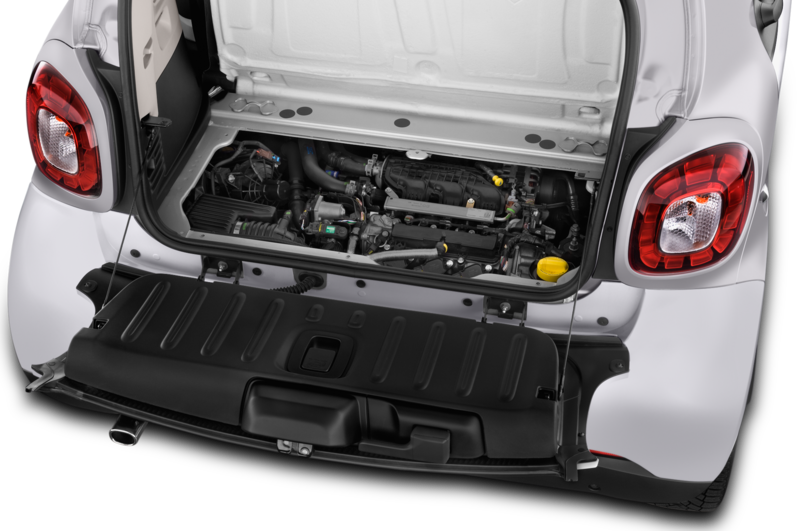 And when the 30 kilowatt-hour battery needs juice, the car will drive itself to a charging station. 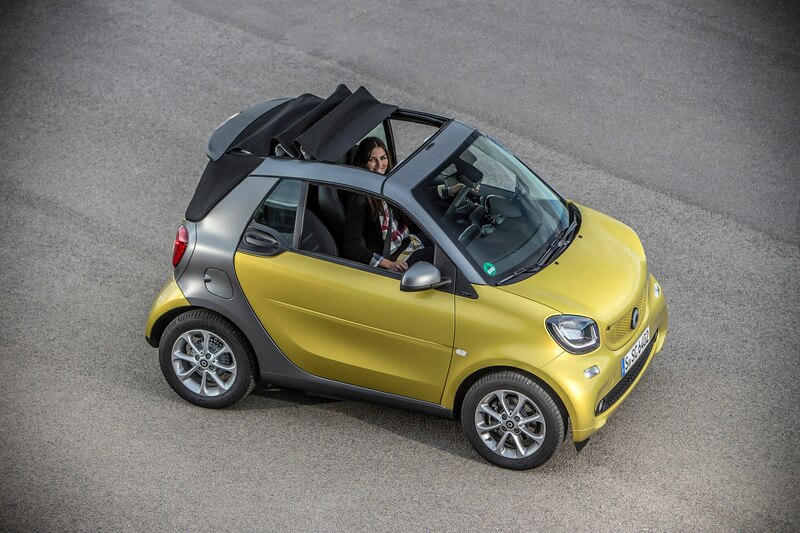 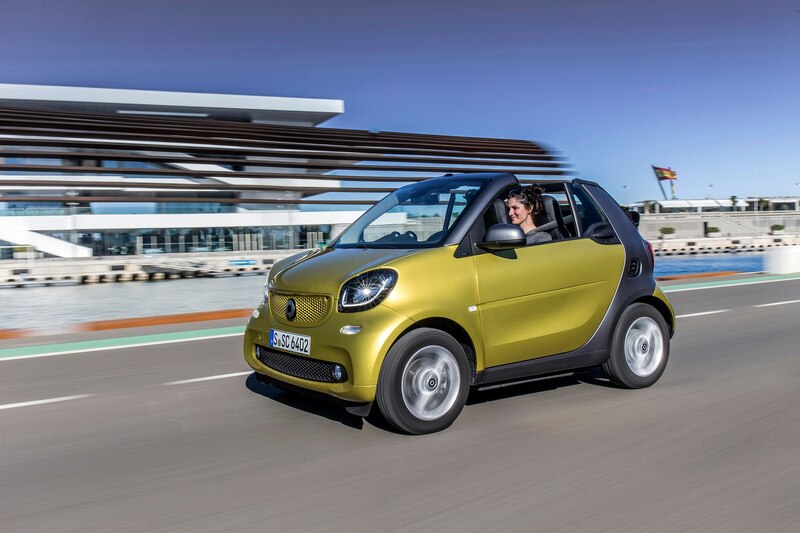 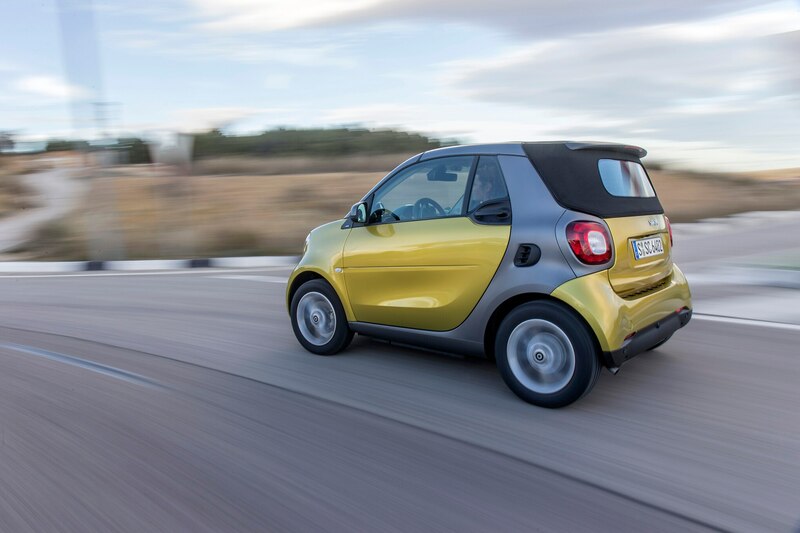 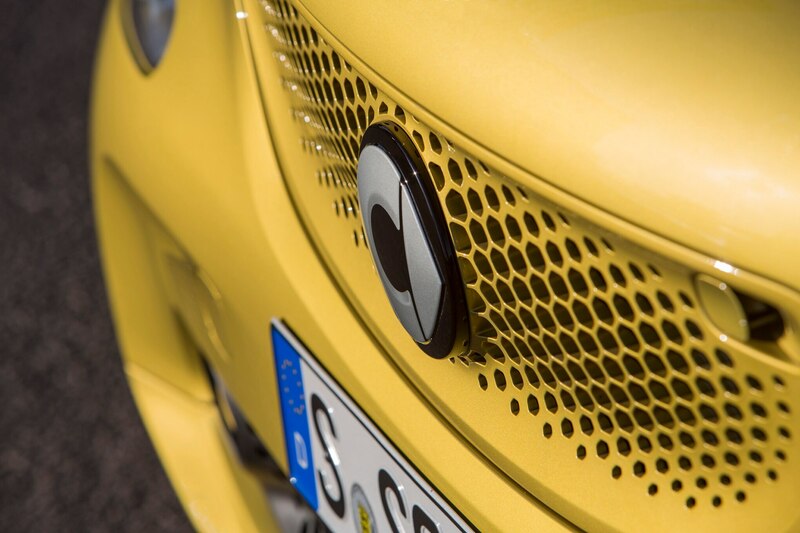 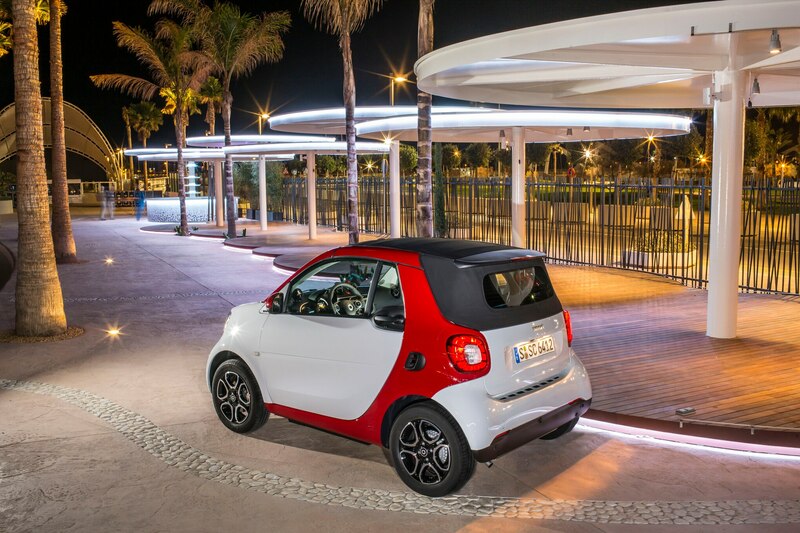 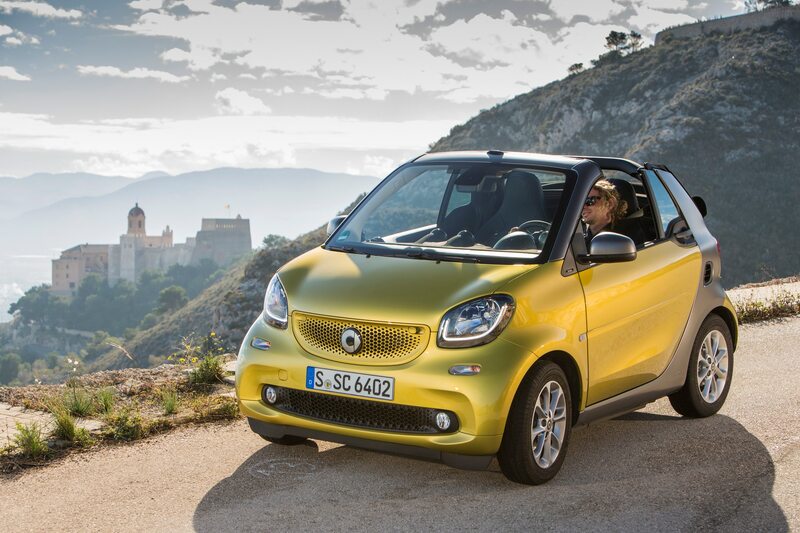 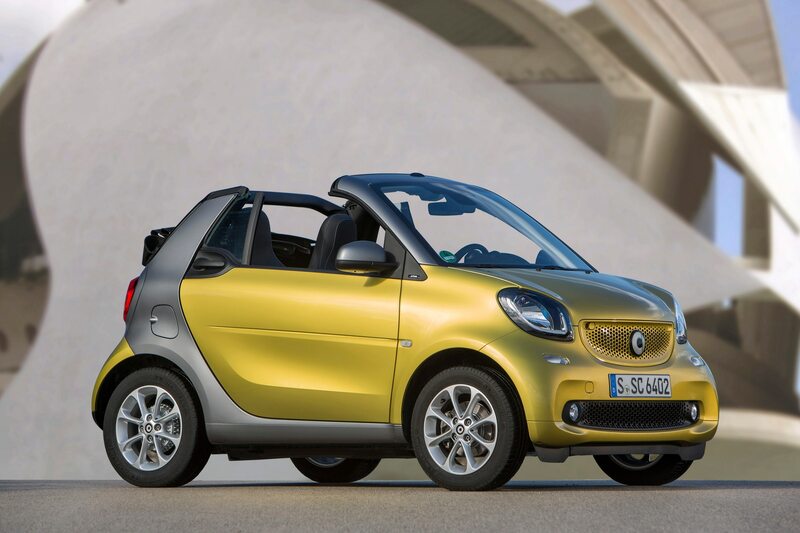 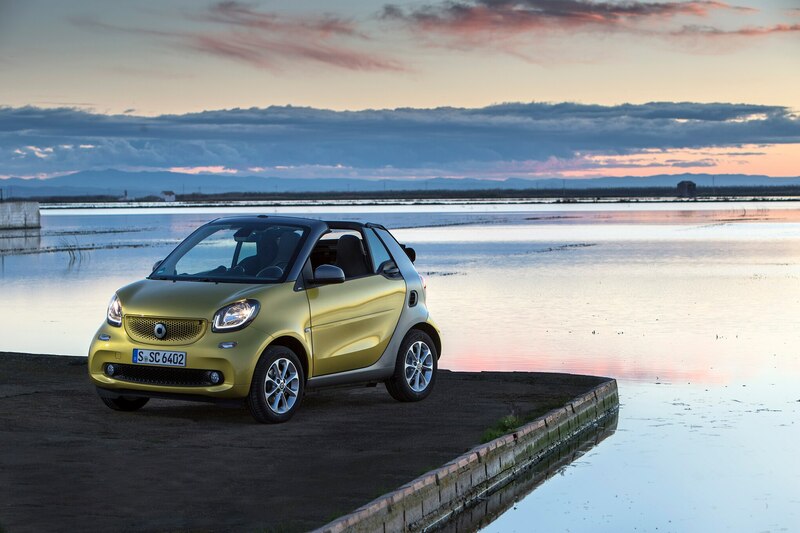 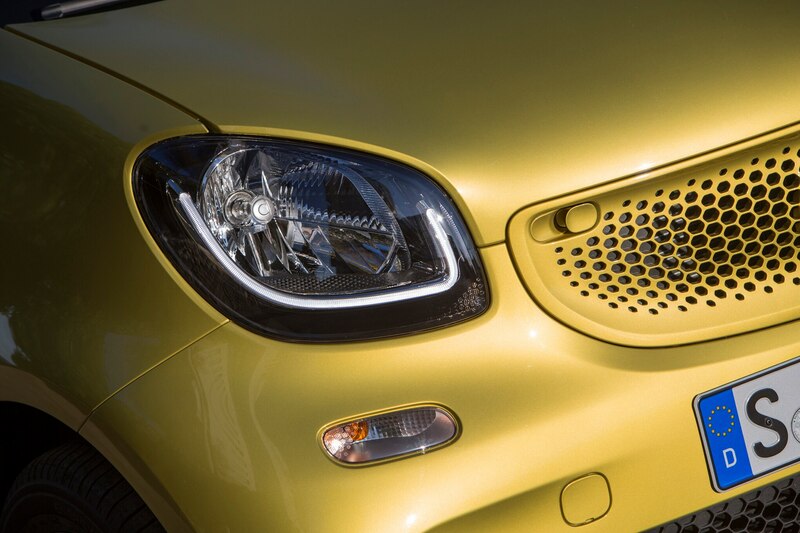 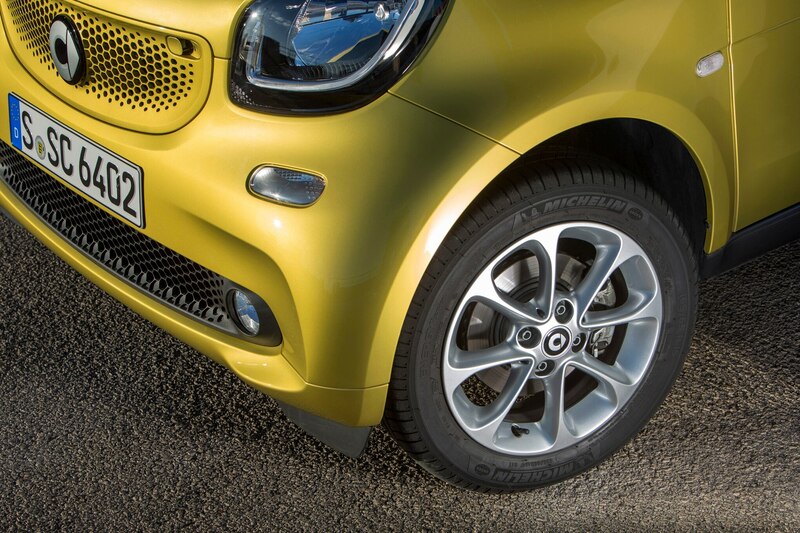 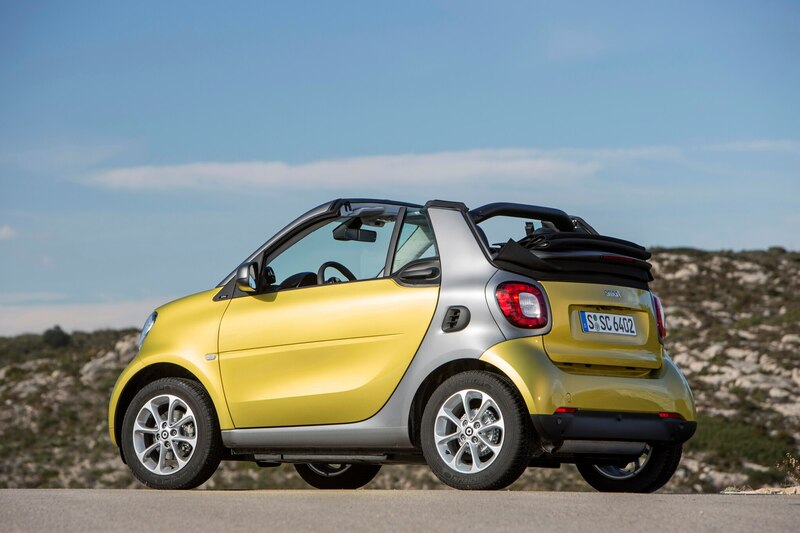 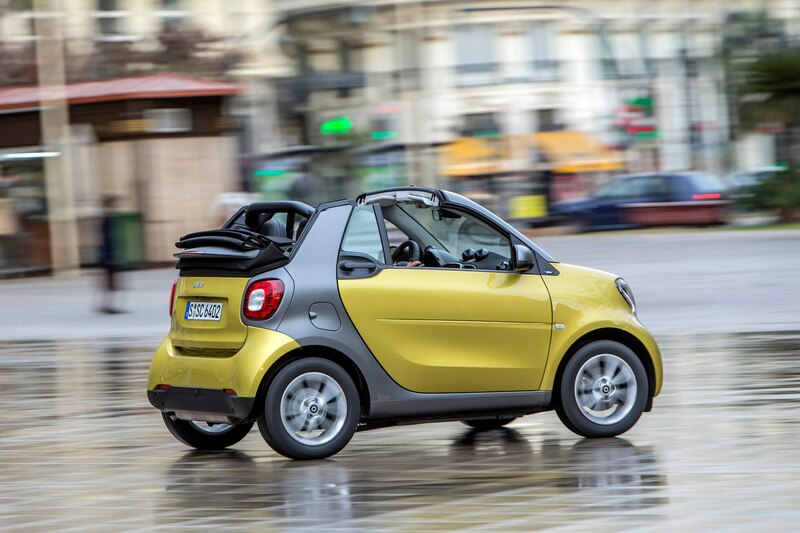 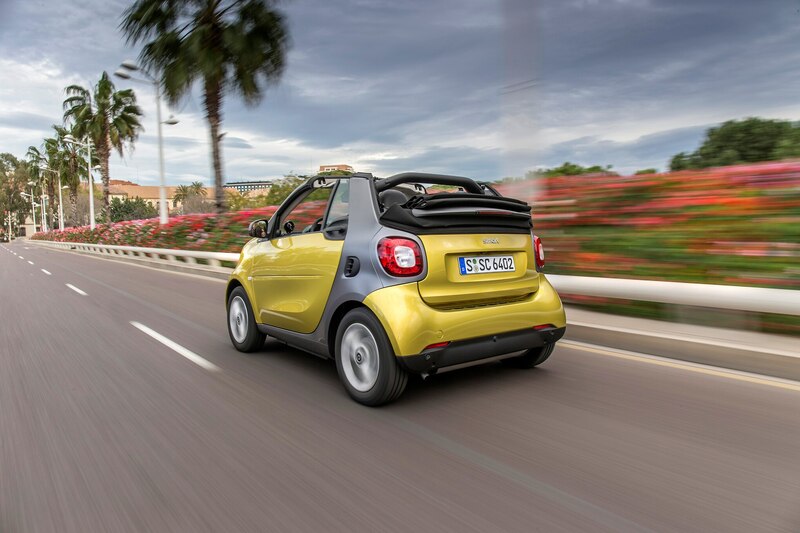 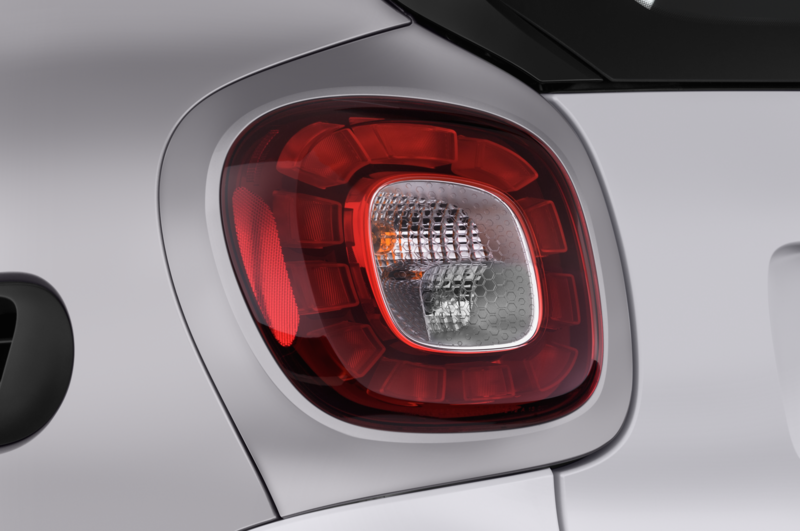 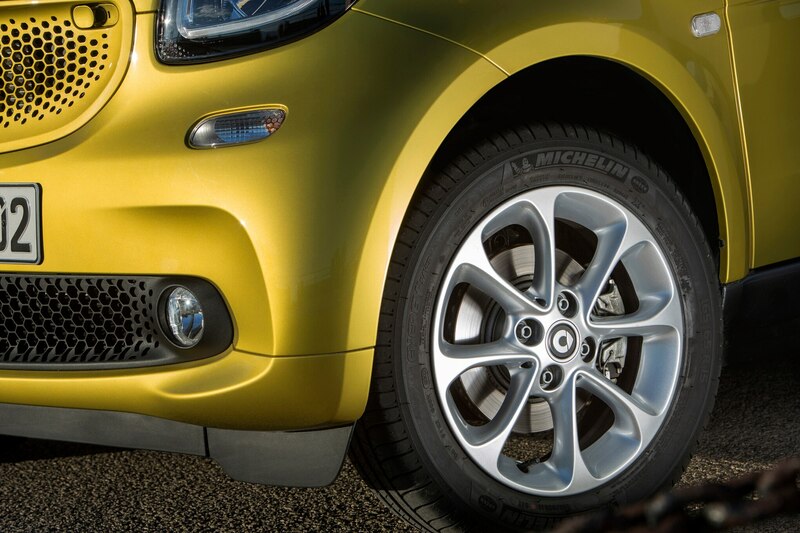 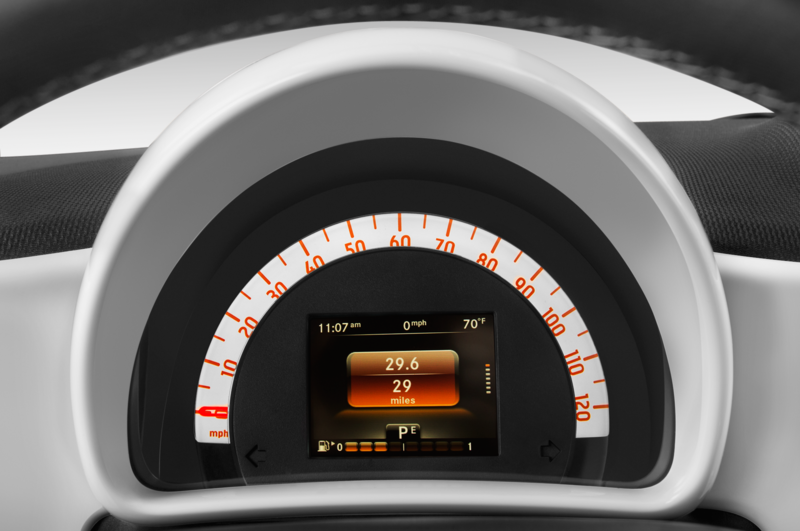 Look for the Smart Vision EQ ForTwo concept at next month’s Frankfurt Motor Show.